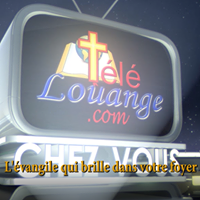 Religious TV Channel / Tele Louange started broadcasting in June 2008 with an On-Demand Channel and on September 2008, we were among the first in the haitian community to broadcast live worship service online. Now, we have been streaming live for 10 years all kind of events around the US, Canada, Dominican Republic and Haiti.We are live on 24/7 www.telelouange.com; Tunein, Audionow, ZenoRadio, Mag, Adroid boxes.Find us on Google play store and iTunes. Tele Louange is a public channel on Roku in the Religious category.